For many of us, January marks the beginning of our New Year’s Resolutions. But for the administration of Mayor Muriel Bowser, January 2019 marks the start of her historic second term — and the Mayor is asking all of us to think bolder, bigger, and even more creatively, so that the District can continue to be a place for residents of all incomes. Thanks to the Mayor’s leadership, over the last four years DHCD made significant strides in producing and preserving more affordable housing for District residents. We delivered 6,000 units of affordable housing and are well on our way to 10,000 more units in the next four years, invested over $471 million in the Housing Production Trust Fund (HPTF), launched a significant preservation strategy, increased investment in homeownership programs and produced more than 800 units of permanent supportive housing (PSH). We are proud that these accomplishments have resulted in safe and affordable housing for residents such as seniors, veterans, large families, and the formerly homeless. But we want to ensure more people have a fair shot to live in our wonderful city. So Mayor Bowser set her Term 2 goals in her January 2 inaugural address: By 2025, the region needs to produce 240,000 additional units, and the District should produce 36,000 units—to include affordable housing across the entire income spectrum from our most vulnerable residents to workers like firefighters, police officers, and teachers. To accomplish this goal, the Mayor has called us to go beyond and review outdated laws and regulations that are not in step with a growing city and rising housing costs. This will necessitate everyone working together as never before: the executive branch, the DC Council, DC government agencies, for-profit and nonprofit developers—and private citizens. Every neighborhood in the city can play an active part in developing affordable housing solutions. DHCD is looking forward to coming up with creative and big ideas that will produce and preserve even more affordable housing in our great city, and we look forward to partnering with you! Jonathon Martin is a native Washingtonian and District Government employee with strong roots in the community. He wanted to continue to live in DC, but was concerned that he could not afford to do so because of rising rent costs.That concern eased after a former co-worker told him about the Inclusionary Zoning (IZ) program. 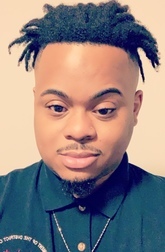 He received his orientation through the Greater Washington Urban League (GWUL) in 2017. Jonathon works in Southwest Washington by the Waterfront Metro, where he saw the Valo Apartments being constructed and wondered if that could be his next home. When he got the lottery notification from IZ staffer Kathy Haines, he applied and was ecstatic after he was accepted as a rental tenant. He loved the look of the building—and the fact that his office was across the street was an extra bonus! On January 3, Mayor Bowser noted her excitement at starting her second term as Mayor “the right way: by breaking ground on a much-needed new grocery store in Ward 8.” A Good Food Markets is being constructed on the corner of South Capitol Street SE and Atlantic Street SE, and will bring fresh food and job opportunities to the Bellevue community. But that’s not all. The site also will house the South Capitol Street Apartments, which will include 195 units of affordable housing, to include 20 PSH units. So while this was a big celebration of much-needed retail coming to the community, the affordable housing was a big discussion point among dignitaries such as Ward 8 Councilmember Trayon White, Ward 5 Councilmember Kenyan McDuffie (who chairs the DC Council’s Committee on Business and Economic Development), Deputy Mayor Kenner, and ANC8D Commissioner Olivia Henderson. Director Donaldson and DC Housing Finance Agency (DCHFA) Executive Director/CEO Todd Lee were in the audience representing the agencies that helped to fund the affordable housing. The focus on both retail and housing particularly may have been the case coming on the heels of Mayor Bowser’s January 2 inaugural address, when she mentioned a bigger vision for affordable housing production and preservation in her second term. 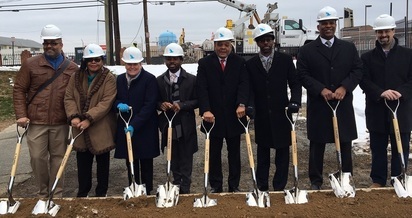 DHCD celebrated its first affordable housing groundbreaking of 2019 at the Ainger Place Apartments in the Randle Heights neighborhood of Ward 8. Ainger Place Development Corporation (APDC)—a nonprofit arm of Emmanuel Baptist Church (EBC)—and the Michaels Development Group will construct a 72-unit development at the site for individuals and families. 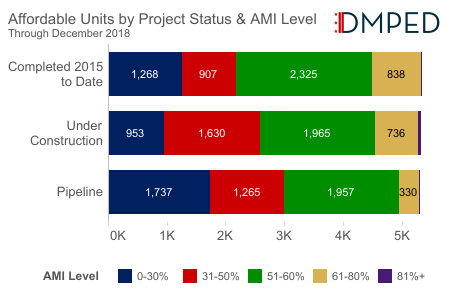 At Ainger Place, 54 units will be designated for households at no more than 50 percent of the Median Family Income (MFI, $58,600 based on a family of four), 18 units will be no more than $35,160 (30 percent MFI)—10 will have Local Rent Supplement Program (LRSP) subsidies administered by the DC Housing Authority (DCHA) and eight will be PSH. 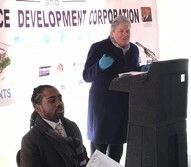 The financing for the $29.3 million project includes $10.69 million from the HPTF, as well as $10.1 million raised through the sale of federal 4 percent Low Income Housing Tax Credits (LIHTCs) and $13.75 million via tax exempt bonds through DCHFA, and a $5.95 million HUD FHA-insured loan from SunTrust Bank. Director Donaldson started her remarks on a personal note, as Councilmember White looked on, stating that her early work in the faith-based community gave her a special appreciation of the church's accomplishments. She then cited Mayor Bowser's Term 1 housing achievements and noted that as the Mayor calls on us to build more housing across all income spectrums, Ainger Place is a model of what we need to continue doing, as a team, to craft successful housing solutions for all District residents. The Latino Economic Development Center (LEDC), a DHCD-funded community-based organization (CBO), has purchased a new office space at 1401 Columbia Road NW to serve as its permanent headquarters. LEDC staff and leadership will move into their new offices in June after building renovations are complete. LEDC is one of several DHCD-funded CBOs that provide housing counseling services and training to potential homeowners, current homeowners, and tenants, focusing on low-to-moderate income residents and neighborhoods. Go here for a complete list. Deputy Mayor for Planning and Economic Development Brian Kenner invites you to DC ECON UNPLUGGED, a free event that connects you to DC's economic development. From arts to housing, transportation to environment, come get connected to the services and resources that grow DC’s economy. 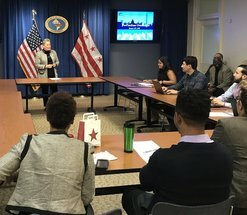 The District's Tenant Opportunity to Purchase Act (TOPA) gives financial and technical assistance to tenant groups pursuing the purchase of their apartment buildings. But they must follow certain steps. Similarly, before a residential property is sold, landlords and realtors have clear responsibilities. 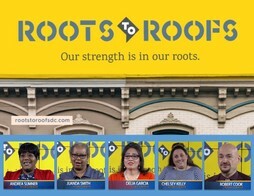 “We're ready to take control of our destiny.” This powerful statement came from a recent WUSA 9 story on tenants of the 5912 Missouri Tenants Association, who, thanks to TOPA and DC’s Affordable Housing Preservation Fund, will be able to both own and conduct repairs in their Ward 4 apartment building. We shared in last month’s newsletter how almost $11 million will help preserve over 80 units of affordable housing in three properties. Subsequently. WUSA released a video version of its story. Please view and share it, because it really brings to life the impact that the District’s affordable housing tools has on residents. In the coming weeks, DHCD will be announcing stakeholder meetings for the District’s Analysis of Impediments (AI) to Fair Housing Choice. The DC AI, a requirement under the U.S. Department of Housing and Urban Development (HUD), was last updated in 2011. An updated and more thorough AI will be completed in fiscal year 2019. As a part of that process, active participation by the public will be key to developing strategies for addressing myriad housing, employment, education, transportation, and other issues. DHCD’s consultants, the Lawyers’ Committee for Civil Rights Under Law and Poverty and Race Research Action Council (PRRAC), will participate in the stakeholder meetings. Please sign up for our events distribution list to receive meeting dates. Contact Sonia P. Gutierrez, DHCD fair housing program manager, at 202-442-7200 or sonia.gutierrez@dc.gov, to get more information. In December, 30 households in the District received more than $2.76 million in down payment and closing cost assistance to become first-time homeowners. Congratulations to our newest Home Purchase Assistance Program (HPAP) and Employer Assisted Housing Program (EAHP) recipients! We had great memories from the 10th Annual DC Housing Expo and Home Show. See video clips here and here (the second is thanks to WHUR). HPTF Board Welcomes New Member to December Meeting. Roughly two weeks after being sworn in, new HPTF Advisory Board Member Lynn French was welcomed by other members at a December 20 meeting. There, participants had a lively discussion about TOPA and the implementation of the District Opportunity to Purchase Act (DOPA), and received updates on DHCD’s request for proposal process for affordable housing projects. IZ Holds Orientation Class During Weeknight. In its continuing efforts to give residents more scheduling options for IZ orientation classes, the IZ team held a weeknight class on January 11. The temperatures were frigid that evening, but over 80 persons still came out to hear IZ staffers members Marshall Cusaac and Kathy Haines explain the steps needed to register for the program: (1) attend the orientation class; and (2) receive a completion certificate. The IZ team aims to host one class per month, alternating Saturdays and evenings during the week. Helping Mayoral Staffers Get One Step Closer to Homeownership. Working on behalf of District residents in the Mayor’s office involves a great time commitment for staffers, which can make it hard for them to come out to our CBO classes on home purchase assistance programs. 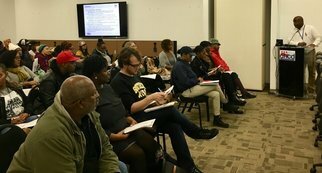 Because we want to make it easy for them to work and live in the city, DHCD arranged a special pre-purchase orientation class at the John A. Wilson Building. Director Donaldson gave opening remarks before handing the class participants off to CBO Housing Counseling Services, which took them step-by-step through what’s needed to qualify for HPAP and EAHP. DHCD Helps Construction Trades Learn About Accessible Housing. It is important that construction trade professionals understand how to build affordable housing that is accessible to everyone, particularly residents who want to age in place. That’s why DHCD provides accessibility training to developers, general contractors, architects and other construction professionals involved in many DHCD-financed affordable housing projects. Our January 16 training was attended not only by laborers in the construction trades, but also by representatives of various union and labor groups for carpenters, electricians, plumbers, sheet metal, finishers and masonry. 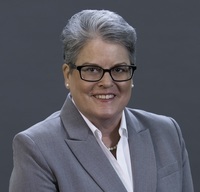 Attendees generally learned how to abide by accessibility standards and regulations on the Fair Housing Act, the Americans With Disabilities Act (ADA) and Section 504 of the Rehabilitation Act of 1973. 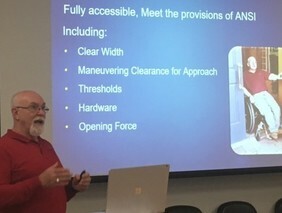 Trainers from E&A Team, Inc., Mark English and Larry Fleming, gave insightful and real-life examples of construction errors that not only can cause cost overruns and construction delays, but also can result in detrimental consequences to someone who, for example, uses a wheelchair. They also advised attendees on how to spot accessibility errors—even when drawn on a blueprint.